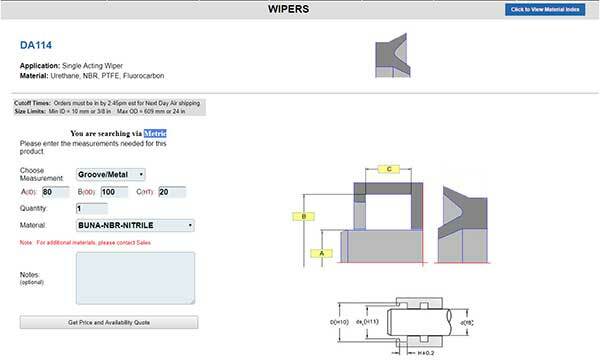 This Tutorial provides Step by Step instructions on how to use our New Custom Seal Configurator. 1. First, click on CUSTOM SEALS. 2. Next, select Inch or Metric. Then you will choose your Profile Type. 3. Then, select the profile you would like to begin to customize. 4. You will then choose the Measurement type. Enter your dimensions, and Qty desired. 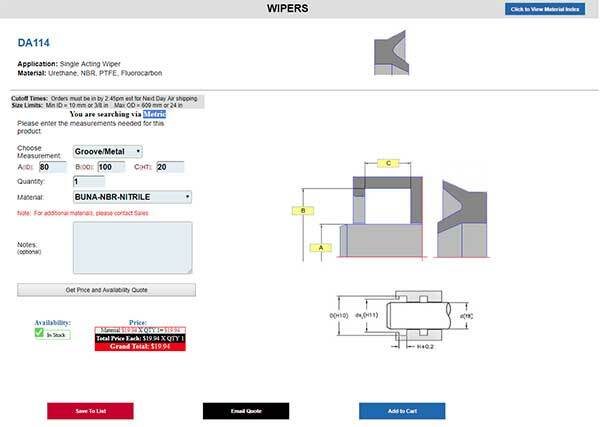 Then you will select the Material and Click the Get Price and Availability Quote. 5. Once you have followed these steps, you will see your price and availability. You then have the option to Save To List, Email Quote, or Add to Cart. 6. If you have chosen Save to List. It will ask you to Name your list. Then Continue. 7. 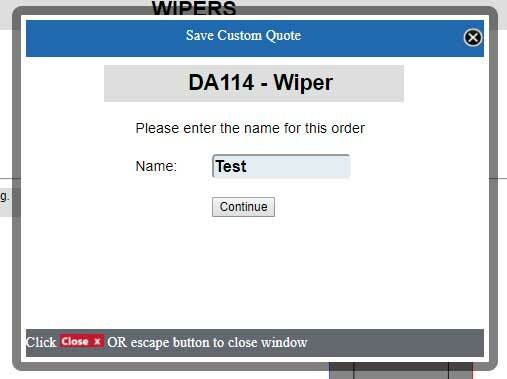 Once you click Continue, you will be given a Quotation # and the ability to View your list. 8. If you have chosen to view your list, you will be taken to the My Saved List page. 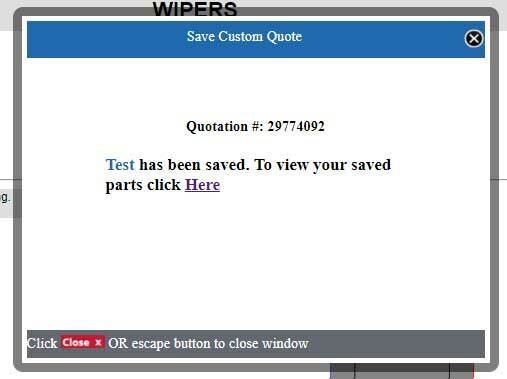 This page shows you your saved lists along with the Quotation # and details. 9. 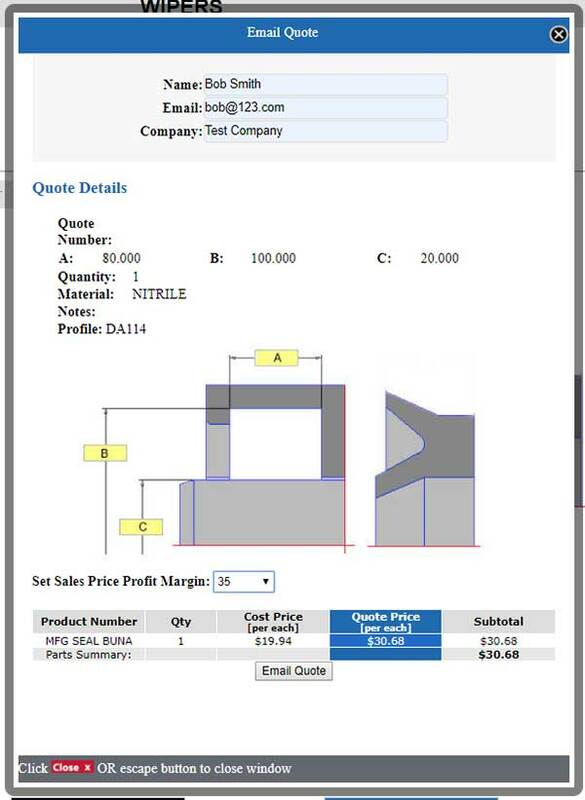 If you chose to Email Quote, you can enter the customers information you are sending the quote to. You can also set a profit margin if you wish. Click Email Quote. 10. If you chose Add to Cart, This will add the custom seal directly to your shopping cart and you can submit your order.